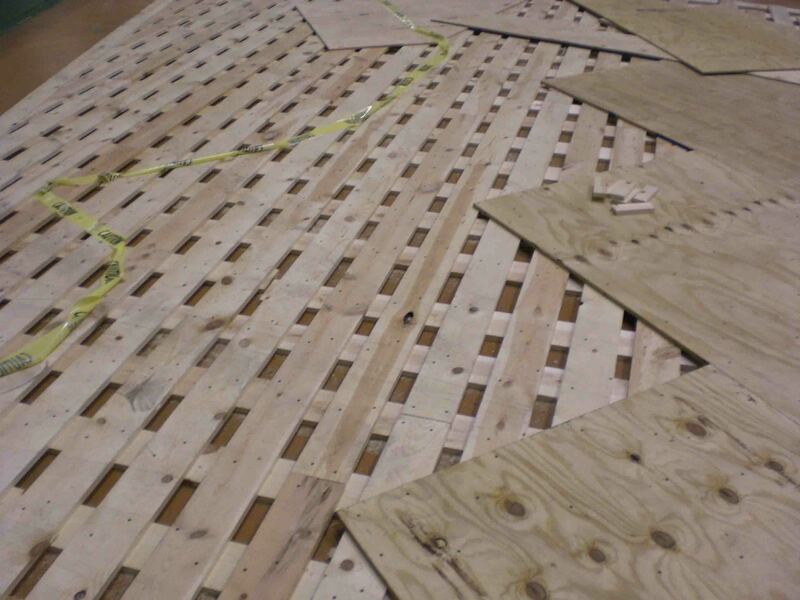 Our clients often desire basketball courts with the traditional look of a hardwood floor surface while also providing the elasticity and shock absorption required for indoor sports courts. 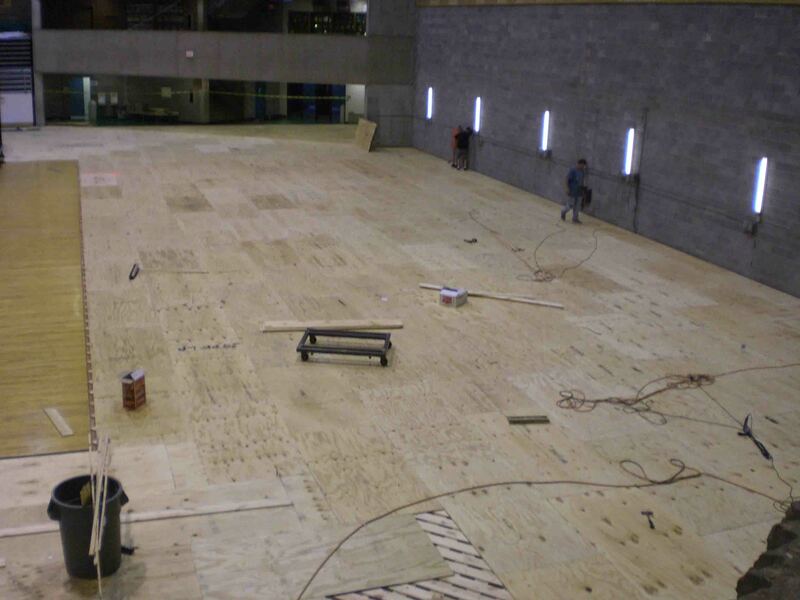 We offer DynaCourt® basketball court construction, a cost-effective alternative to expensive, high-maintenance, traditional hardwood indoor basketball courts which still preserve the much sought-after wood-grain appearance. 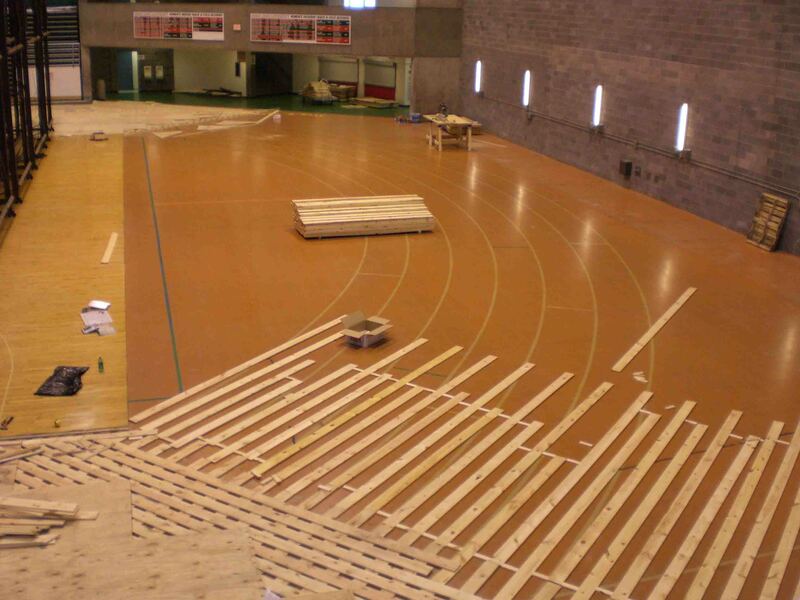 DynaCourt® is an excellent choice for basketball court flooring and other athletic and aerobic floors. It can also be installed in any facility that requires optimum resiliency, elasticity and shock absorption as well as easy synthetic floor maintenance such as a childcare center or physical therapy rooms. 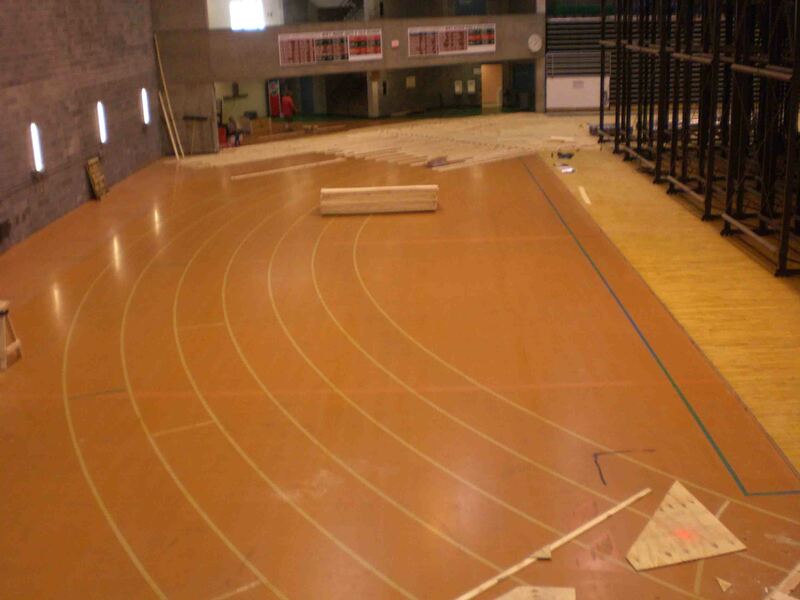 All of our PVC, rubber or polyurethane fitness floors offer the versatility and durability needed for multi sport gyms. 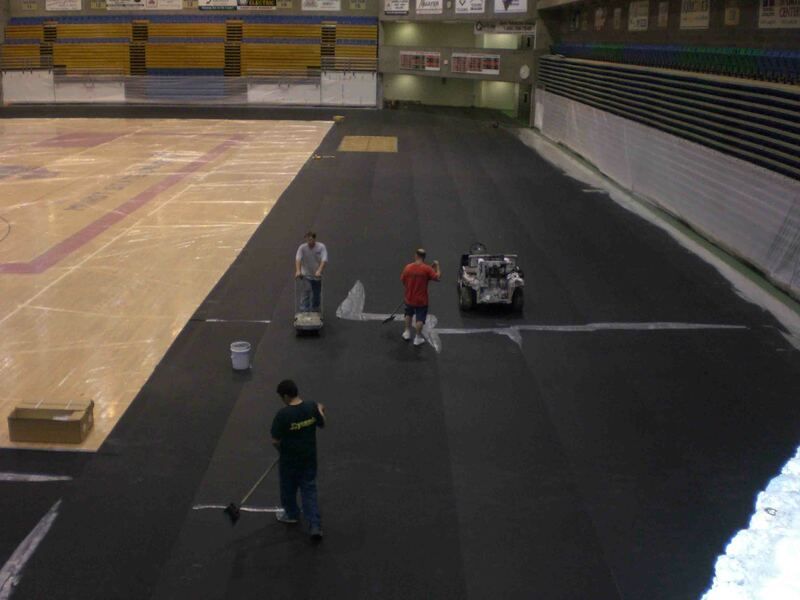 Dynamic Sports Construction, Inc. has completed DynaCourt® installations across the United States in a variety of athletic facilities including fitness centers, multi sport gyms and numerous competition basketball courts. Not only is this cushioned vinyl flooring perfect for use on all levels of play for volleyball and basketball courts, but DynaCourt® is also the solution for YMCAs, private schools, yoga and pilates studios and recreation centers. Our basketball courts for fitness centers and other facilities are high-quality products with the construction available. We offer affordable pricing and timely installation. 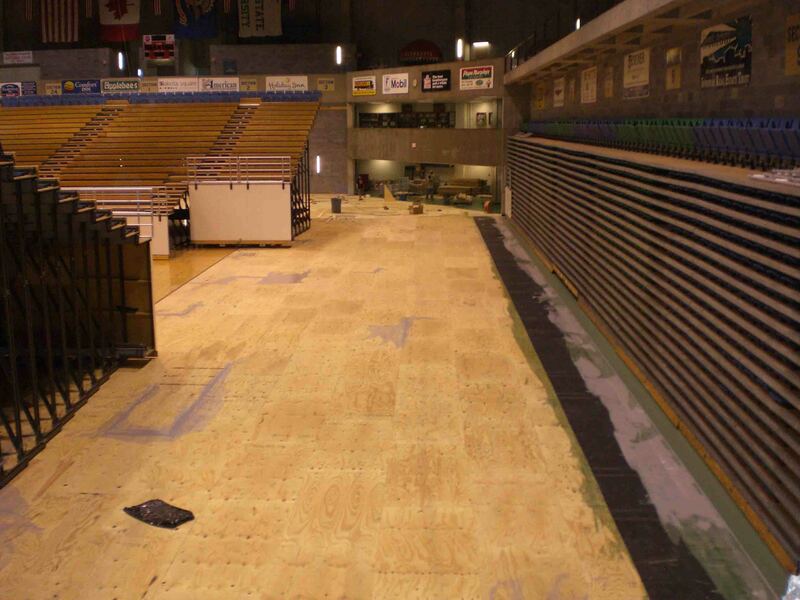 An alternative to the high cost of hardwood on your athletic floor or basketball court construction project, DynaCourt® provides the same look at a fraction of the price. 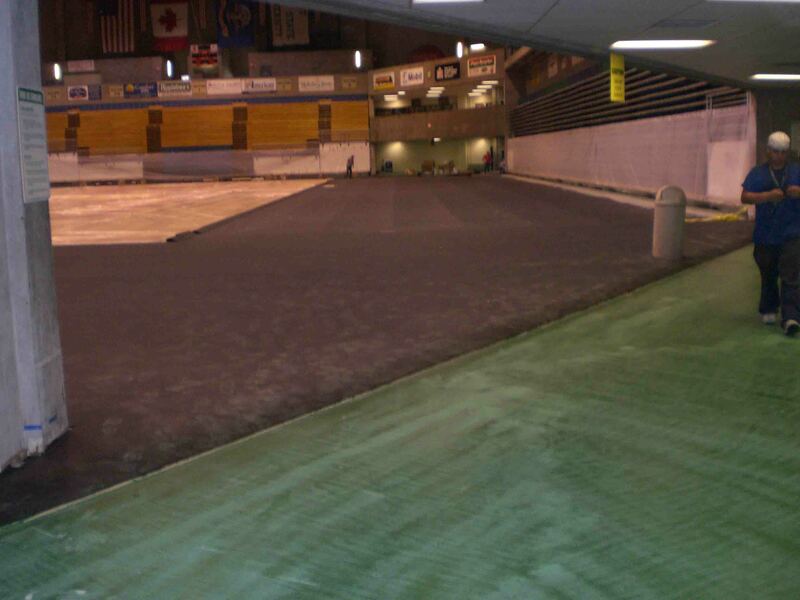 Whether used for leisurely activities or high competition, indoor or outdoor use, DynaCourt® offers the dimensional stability required to deliver a stable playing surface for your athlete’s protection. 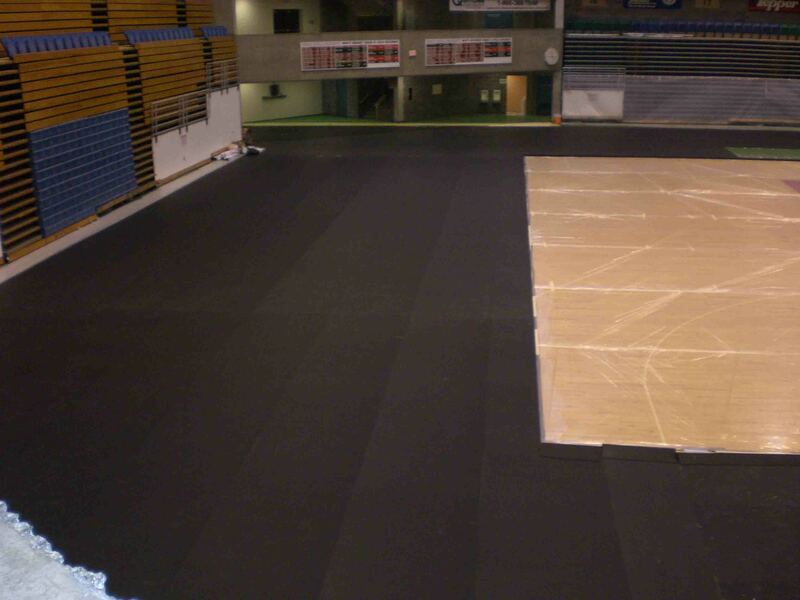 Dynamic can supply the right synthetic rubber floor for all of your basketball court flooring needs. All of our multi sport gym fitness flooring products are designed using today’s most technologically advanced methods.